eScript Program, Schnucks shoppers, pick up a Schnucks eScrip Community Card at Schucks today! 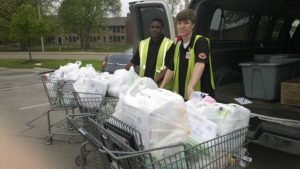 Schnucks will contribute up to 3% of your purchases to our organization everytime you shop and swipe your card. Community Care Center Group ID is 500007069 (you will need this number). 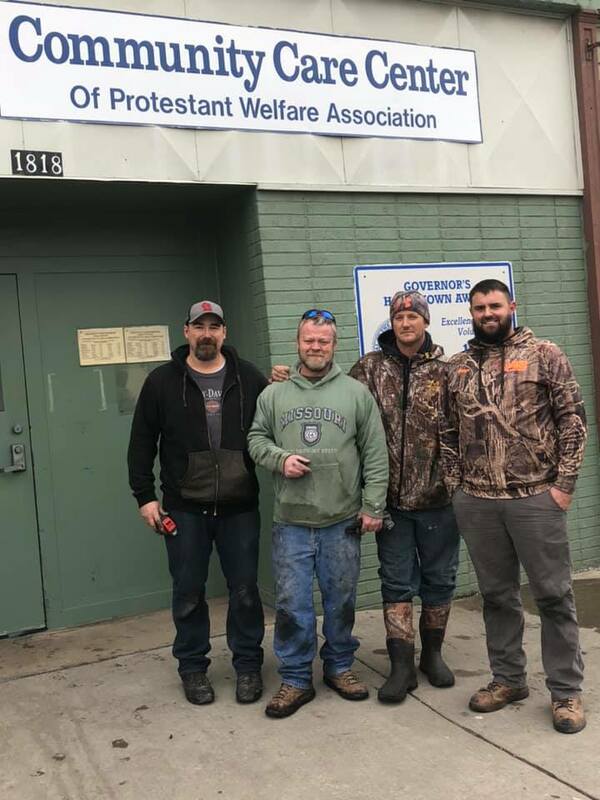 THANK YOU… Ryan Lampert, Eric Pfleger, Larry Stuby, and Scotty Grindstaff of Lampert’s Exteriors & Restorations for the repairs to the roof at the CCC. BIG shout out to Amvets 204 for this wonderful and HUGE food donation on Dec. 21, 2018!!!! 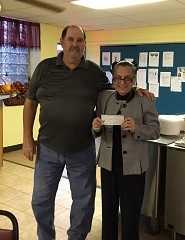 Bob and Jan Butler present a check for $500 to Community Care Center from the Episcopal Diocese of Springfield. 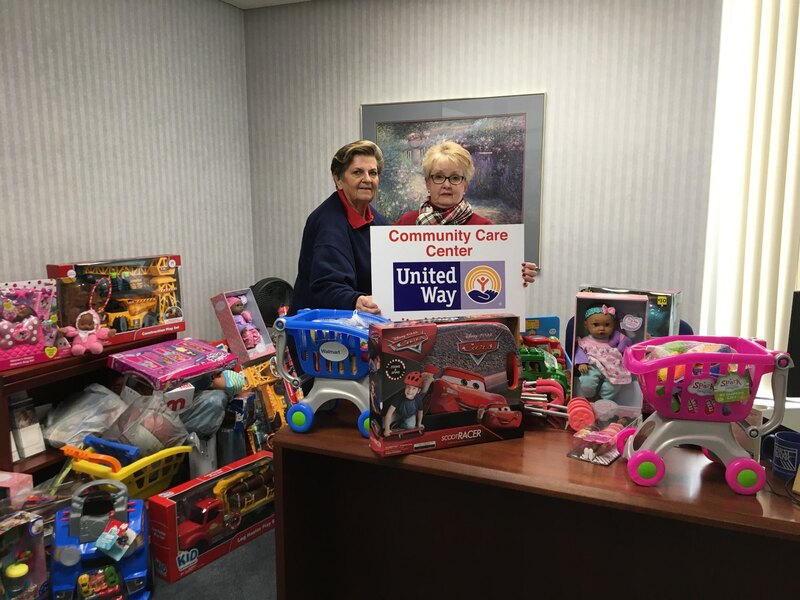 A huge “THANKS” to “Santa Sue” for this toy contribution to our center, thanks to all of her patrons at Sue’s Corner who support their fundraisers to raise the money for these kind of services. 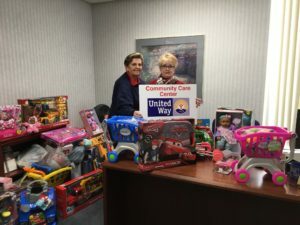 There is over $900.00 worth of toys!! 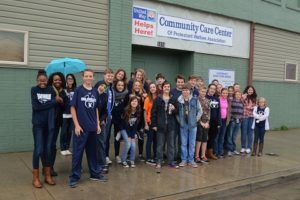 This couldn’t have come at a better time for the Community Care Center. 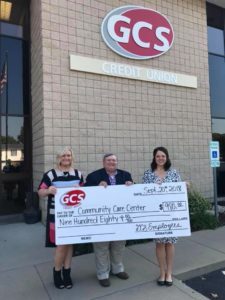 GCS Credit Union Employee donation for $980 received from Sarah Gebke, Relations Representative presented to Melanie Williams, Community Care Center Executive Director and Ken Newton, Community Care Center President. 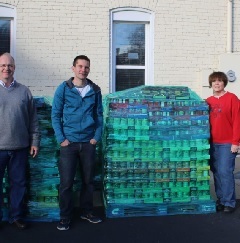 Simmons Hanley Conroy employees donate 27,378 pounds of food, Read more here. Community Care Center received a $10,000 grant from Ameren Illinois to help replenish food supplies and help the center continue its mission of helping families in need throughout the winter season. 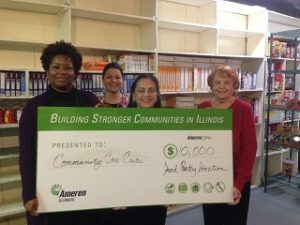 The grant funds were made available through the Ameren Cares program, which connects Ameren Illinois with the communities it serves through charitable giving and volunteering. Read more here. 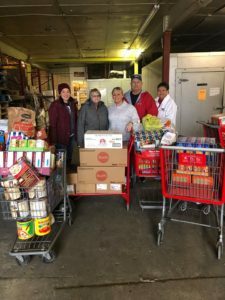 Thanks to Boy Scout Troops 122 and 4013 for their efforts collecting food and items that were donated to the Community Care Center on Saturday, November 21, 2015. The Boy Scouts donated a total of 1038 items or 1046 lbs of food. 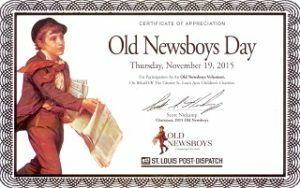 Thanks to Debra, Liz, Darlene, Beth, Mark, Harriet, and Pastor Doug for braving the cold and being Old Newsboys for the day. A special thanks to those who donated. 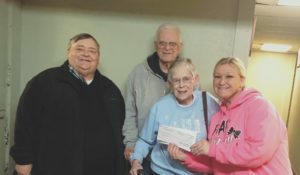 The employees of Ehrhardt Tool & Machine Co. Inc. donated and delivered over 13,000 food items and five pallets of clothing and household items. 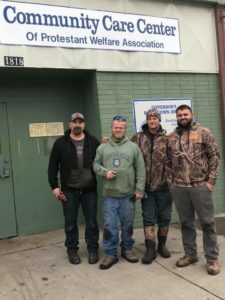 The employees donated money and formed alliances with local businesses to maximize their purchasing power. 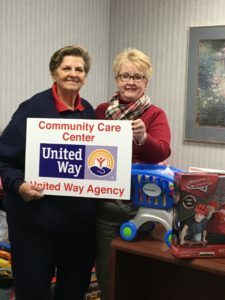 With special purchases and donations from Schnuck’s, Wal-Mart in Granite City and Tru-Buy in Highland the employees once again set a record as the largest employee-based contribution to the Community Care Center. Read more here. 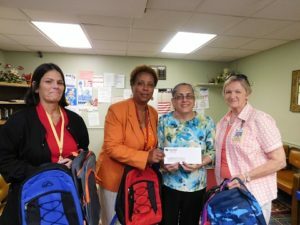 Gateway Regional Medical Center employees on Monday, August 3rd, 2015 presenting a check for back to school and school supplies to Debra Homyer, Manager of Community Care Center. (Left to right: Stephanie Bailey, Robin Anderson, Debra Homyer, and Joan Roberts. On April 18-19, 2015 – Operation Food Search and Schnucks Market in Granite City sponsored a drive to collect personal care items for the clients of Community Care Center in Granite City. 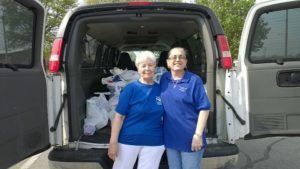 Through the generosity of Schnucks and their customers, over 810 personal care items were collected over the two days to distribute in the community.